1 Tune 18 Note clockwork wound. 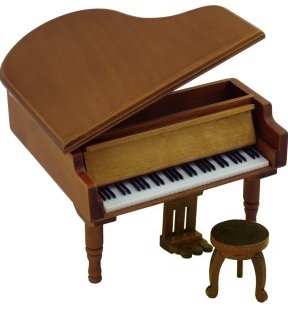 A miniature grand piano ornament made of wood and fitted with a clockwork wound musical movement. 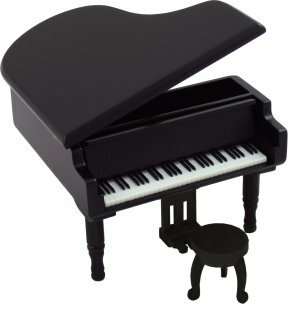 Open the lid to play the music box and prop open like a real grand piano ! Inside is a small storage area for trinkets & rings. A great music gift idea.